As a capstone to their entire high school development, every Grauer School senior produces and presents a high-quality presentation portfolio of their work before peers and faculty. The portfolio synthesizes their best achievements in school with their future aspirations. This represents the culmination of portfolios of work they have produced throughout their education at The Grauer School. 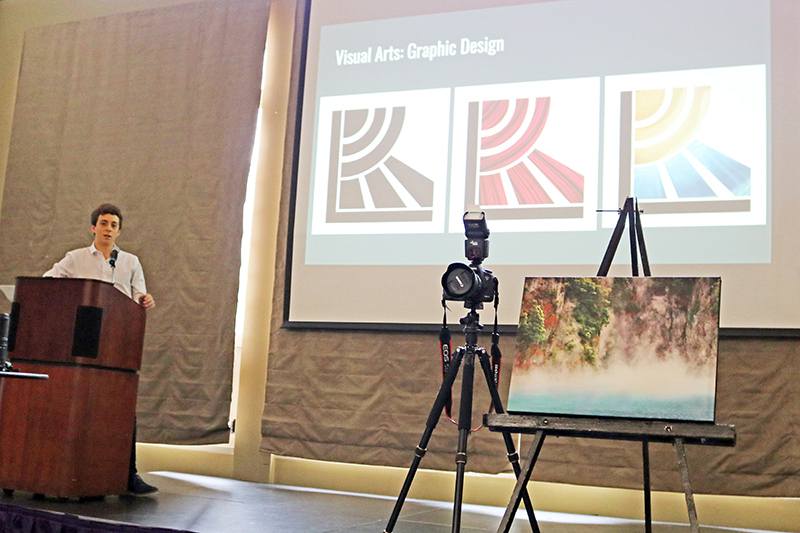 Students defend their portfolio before a panel of faculty members, peers, and others. It is at this moment that we watch our seniors take that confident step beyond high school into their future. Through this process, students demonstrate the successful development of the school’s highest values, such as resourcefulness, compassion, self-confidence, and self-reliance, needed for success in college and beyond. "Developing compassion and kindness is far harder to achieve in a school than scholarly achievement - but you have managed to do both! Congratulations for your vision and staying true to your mission. Thank You Very, Very Much!" Our senior graduation portfolios are just one of the many reasons The Grauer School is the best private school in San Diego for personally-engaged academic excellence and social leadership. Another reason is our dedication to a personalized, supportive learning environment that has made us the worldwide leader in the small schools movement. Our six-acre green campus is home to an outstanding faculty and passionate, compassionate student body that represents the brightest future for our local and global community alike.